A new generation of "all condition" crampons. Ten points in contact with the ice while you are walking, 12 points that bite into the slope during traverses. This has been made possible because the third pair of points are shorter and wider apart. On top of this the last two front points have a double angulations to maintain bite when descending or traversing. 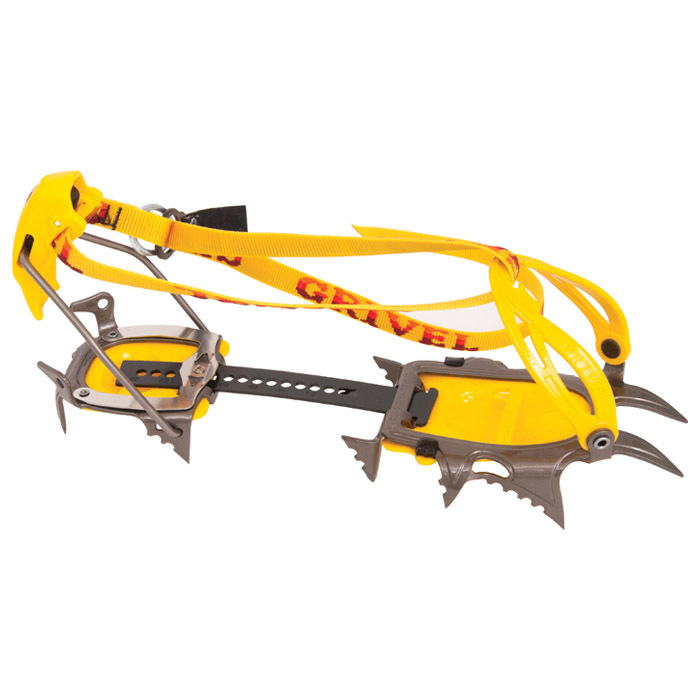 The crampon points on the bottom are short and designed for the new requirements of "mixed modern's" alternating ice and rock making walking easier and more efficient. The front points are long like the G12 for vertical ice. A true all conditions crampon.